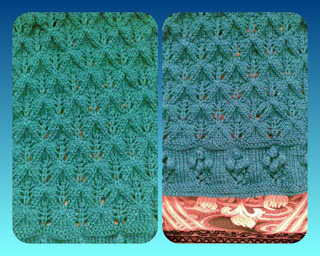 This is the stitches of my sweater; it called (candle light lace) this stitch is 10 stitches repeated+11, and 16 rows repeated. The bobble edge is 11 stitches repeated+2 , and it is 22 rows. 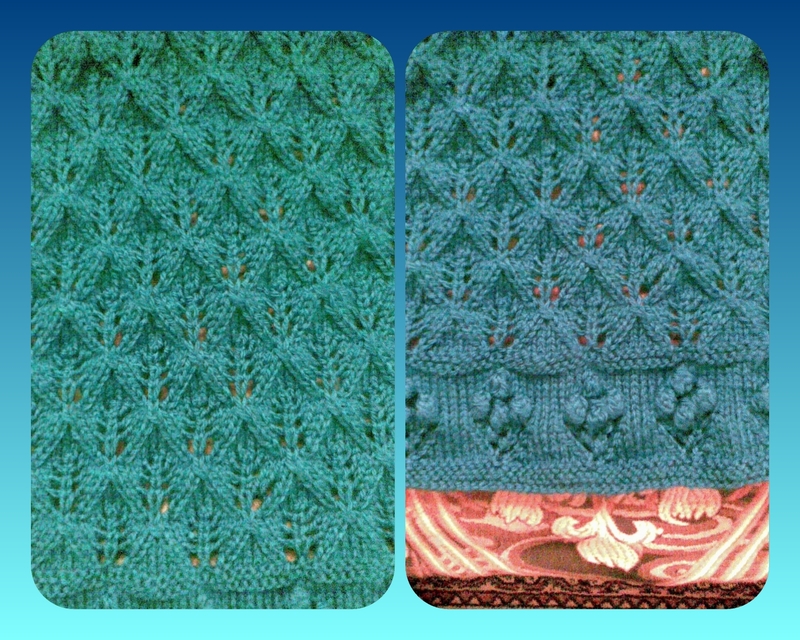 It is my own design sweater, and I suffered a bit with this stitch (candle light lace) to shape it. lol it is my first one. I have shaped it -Thanks God- increasing, and decreasing. It was challenging -for me of course to keep the stitch with all those shaping specially I have chosen my own sweater to be set-in sleeve with this fitted armhole, and shoulders. It was steps shoulders ; I didn't use short rows to shape the shoulders . I didn't try this method yet. Maybe next time. I have tried to trace the stitches using graph paper to know how I will increase , and decrease it, but I didn't work with me, and I had to wait until I get in the problem , and try with it. Thanks God I finally discovered how I did this or learn a bit about this. This was like you get some lesson of swimming and you suddenly find yourself in the sea, and you should to swim. I have enjoyed to solve problem when I countered them.